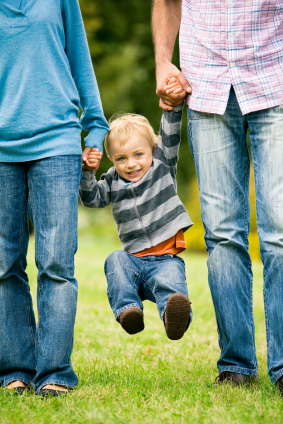 Parental Responsibility: What is it and how do you obtain it? ← The Winner may take it all...but not yet! Parental Responsibility is defined in section 3(1) of the Children Act 1989 as ‘all the rights, duties, powers, responsibilities and authority which by law a parent of a child has in relation to the child and his property’. Therefore if you have Parental Responsibility you are recognised as having the legal powers to make appropriate decisions in relation to the upbringing and wellbeing of your child. However, others, besides parents, can have parental responsibility for a child; for example, a local authority for children in its care, a child’s guardian, a child’s stepfather and perhaps a child’s grandparents or other relatives will be able acquire parental responsibility in certain circumstances. As mentioned above Parental Responsibility is defined within the Children Act 1989. For example, Parental Responsibility will give you a right to contact your child’s doctor or discuss medical treatments, it will also allow you to play a part in your child’s education and have a say into which school your child attends. A mother automatically acquires Parental Responsibility for her child, as does a married father irrespective of whether the marriage to the mother occurred before or after the birth of the child. However the law in respect of Parental Responsibility changed on the 1st December 2003. Unmarried fathers of children whose birth is registered on or after this date (as long as they are named on the birth certificate of the child) will also acquire Parental Responsibility. However, if a child was born after the 1st December 2003 and the father is not named on the birth certificate of the child nor married to the child’s mother then they do not automatically gain Parental Responsibility. Parental Responsibility, unless discharged, runs until the child reaches the age of 18, though its importance and impact on the child will diminish as the child grows older and his own views and wishes carry more weight. S2 (7) of the Children Act 1989 states that where more than one person has Parental Responsibility for a child, each of them may act alone and without the other (or others) in meeting that responsibility. However, case law states that in certain circumstances, parents are under a duty to consult with each other to come to an agreement in the best interests of their children. Is there a criterion a Father must meet to gain Parental Responsibility? The degree of commitment which the father has shown towards the child (this can be illustrated by financial support, pursuing contact and keeping arrangements, present at birth, having one's name on the birth certificate, involvement in child's education etc). Generally speaking, those fathers who make an application for a Child Arrangement Order do so when making an application for Contact or Residence. This is a most efficient and cost effective way, however, be aware that the Court may choose not to deal with issue of Parental Responsibility until the child arrangement order has been agreed or dealt with. Of course, this isn’t always the case and you can make an application for Parental Responsibility without making an application for a child arrangement order. Contact Karis Jones on 02920 437478 or Karis.jones@howellslegal.com if you are unsure whether you have Parental Responsibility, feel that Mother is not allowing you to exercise your Parental Responsibility or if you wish to apply for to the Court for an Order. What Are Your Parental Rights if Your Ex Lives Abroad?